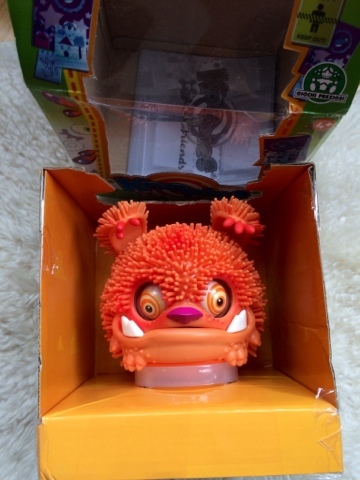 My little people were very excited when I was asked to review Xeno Koopies from Flair - new from the Xeno range, this interactive toy is like a little brother (or sister!) to Xeno and will interact with each other. Koopies have very wobbly eyes that wiggle and jiggle about as he moves around. 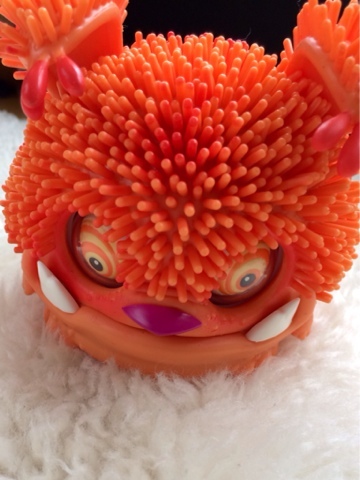 He vibrates and bounces about and makes a lot of noise! 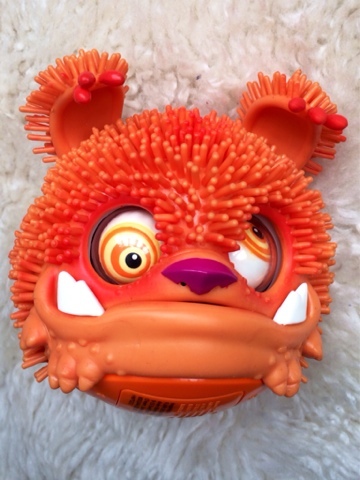 Koopies has very stretchy skin/fur that is great fun to play with, his ears and tail are stretchy too. 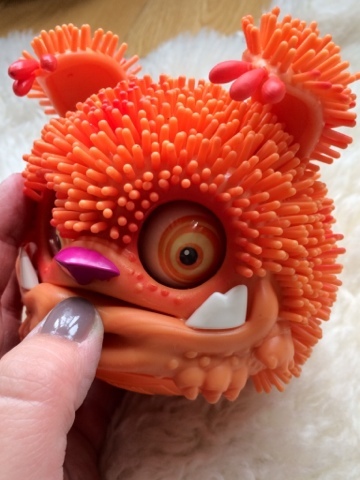 Pop something in Koopies mouth and he will make munching sounds - he finds fingers particularly tasty! But be warned - eating can make him windy - watch out for burp noises and also windy pop noises too! oops pardon you, Koopies! Look at that tail! He doesn't like it when you pull it and will express that with a great big grumble! Koopies have many sensors on their bodies - there are two buttons on the side that will give you different reactions and sound effects. Xeno Koopies come in 3 colours - Green, Purple and Orange. Disclaimer - I received Xeno Koopies for the purpose of this article.